This is a picture for my parents, who look at this photoblog every day and hardly ever see their daughter. 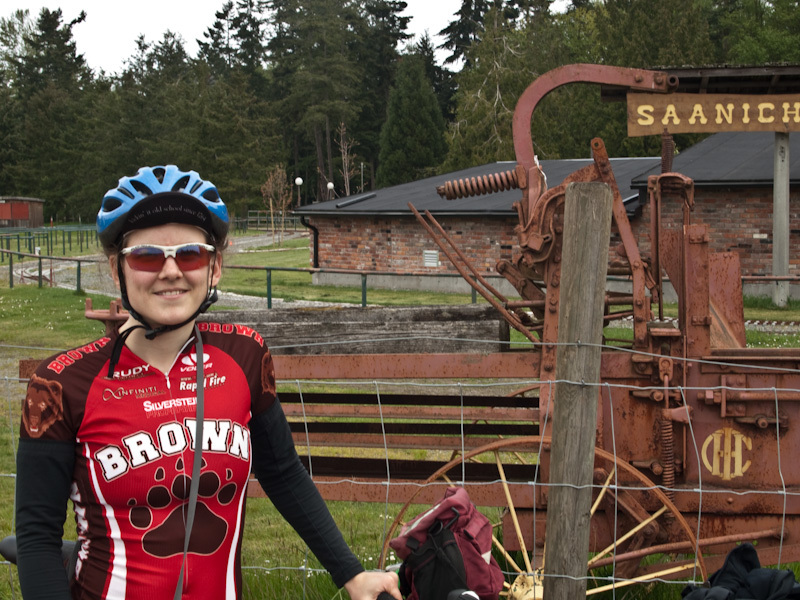 Here I am next to some lovely farm machinery on the first day of the bike trip. Photo by Jonathan.